The African continent and indeed the entire world, yesterday, united in grief, as quintessential international diplomat and former United Nations (UN) Secretary General, Kofi Atta Annan, passed on at 80, in Berne, Switzerland. The departure of the African and global statesman, who was the first Black African to hold that office elicited immense ululations from a wide spectrum of African and world leaders. Without a doubt, he was one of the world’s most celebrated diplomats. His aristocratic style, cool-tempered elegance and political savvy were some of the attributes that facilitated his emergence as the seventh secretary general, and the first hired from within the ranks. Already, Ghanaian President, Nana Akufo-Addo has declared a one-week of mourning for the diplomat’s diplomat, and national flags would be flown at half-mast across the country, and in all of Ghana’s diplomatic missions across the world, from tomorrow. “I extend, on behalf of the entire Ghanaian nation, our sincere, heartfelt condolences to his beloved widow, Nane Maria, and to his devoted children, Ama, Kojo and Nina, on this great loss. I am, however, comforted by the information, after speaking to Nane Maria, that he died peacefully in his sleep,” Akufo-Addo, said in a statement. 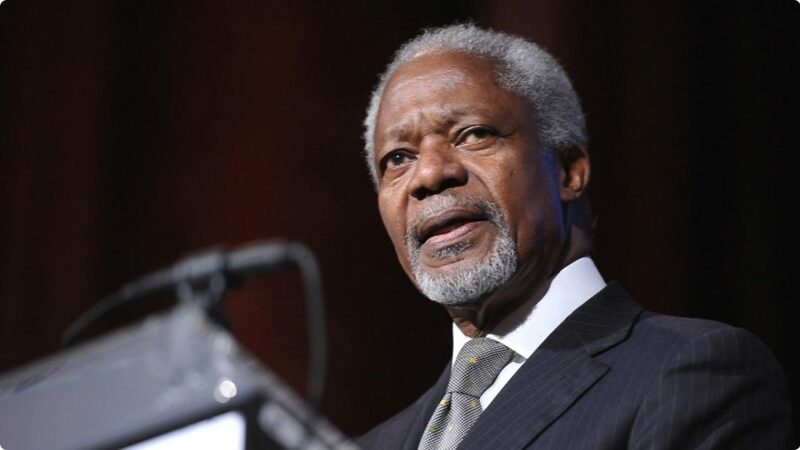 Expectedly, the flurry of tributes, not only drew attention to Annan’s sterling qualities, which included humility, nobility and love for humanity, they also pointed to the fact that he was a rare breed African who dedicated his life to global peace, security and democracy. This much was echoed by Chairman of the Economic Community of West African States (ECOWAS) and Nigeria’s President, Muhammadu Buhari, who in statement released by Special Adviser on Media & Publicity, Femi Adeshina said, all Nigerians and ECOWAS member countries share in the deep loss, considering the strategic influence of the former scribe in global affairs and his vision for the repositioning of the West Coast and Africa. The statement added that as the first elected staff of the United Nations to lead the world organisation and first African to win the 2001 Nobel Peace Prize jointly with the United Nations, the President pointed out that Annan’s humility, nobility and love for humanity set him apart for global greatness, achieving recognition and commendation for the reform of the United Nations’ bureaucracy and multiple interventions to bring peace to the world. Buhari, who called Akufo-Addo from London, added that Annan’s origin and home will always be traced to Ghana, but his exceptional leadership roles, humanitarian spirit and contributions to global peace and development will remain indelible in the history of the entire world, especially efforts to combat HIV/AIDS in Africa and launch of the UN Global Compact. For former President, Chief Olusegun Obasanjo, Annan dedicated his life to democracy, peace, stability, security, equity, justice, human rights, development, and progress. In a statement in Abeokuta he said: “I received the shocking news of the demise of former United Nations Secretary-General, Kofi Annan, with deep sadness at the loss of a brother and friend. “I commiserate with the Annan’s family, particularly the late Mr. Annan’s widow – Nane Maria – and their children Ama, Kojo and Nina; the government and people of Ghana; the Secretary General and staff of the United Nations; and indeed all lovers of peace and progress across the world on this great loss. Speaking of some of Annan’s achievements in and out of office, he said, “First, he saw to very far-reaching reforms at the United Nations Secretariat’s administrative structure. He continued: “In January 2015, he partnered with me in chairing with me a workshop in which we invited only 12 presidential candidates, including incumbent Buhari and ex-president Jonathan, where they signed the Abuja Accord, which I drafted, that committed them and their parties to a non-violent political campaign, and more importantly, to accepting the result of the election. Anyaoku added: “On a more personal note, he was my friend for over 50 years. He encouraged emerging African great diplomats “to adopt the style of Kofi Annan. Kofi Annan was an effective, but quiet diplomat; he always focused on his objectives and pursued them. His passing is a huge loss to the world, and in particular to Africa. Finally, I think Kofi Annan will be remembered for his farewell speech to world leaders in September 2006. When he was about to give up his post as the Secretary General of United Nation, he made a point about the three major subsisting global problems- the unjust world economy, the world in disorder and the widespread contest for human right and rule of law. President of the 32nd session of the General Conference of UNESCO, Emeritus Professor Michael Omolewa, insists that Annan’s passage should not be received with mourning because the man has fulfilled his mission on earth and has gone to rest. Prof. Omolewa recalled an encounter with Annan in 2003: “I remember the joy on his face when I visited him in his UN office in my capacity as President of the General Conference of UNESCO. He always brought encouragement to those who cared to benefit from his experience and wisdom. “He was always conscious of the fact that his election as Secretary General was an accident in history as his predecessor, Boutros Boutros Ghali, was denied his second term. “But Kofi Annan consistently spoke the truth without fear. He described the war on Iraq as illegal, in spite of the powerful forces that resolved to declare the war on the country, which did not have the alleged weapons of mass destruction. He refused to be compromised or intimidated. He demonstrated the quality of the character that the African possesses when entrusted with a mission of trust and responsibility. “We celebrate the one that gave visibility to the black African and who honoured Africa on many occasions even after his term at the United Nations. He noted that many developing nations benefitted immensely from his humanitarian efforts as he was able to raise the concerns and challenges confronting hitherto forgotten peoples and nations in the Assembly of world powers. According to Saraki: “Annan was a quintessential African Diplomat who bestrode the world stage with dignity, finesse, admirable restraint and wisdom. He was a diplomat’s diplomat. He dedicated his immense expertise, experience and energies to resolving some of the world’s most pressing problems and conflicts, including most recently, the Rohingya refugee crisis. He was a citizen of the world. “Annan was an African avatar and God’s messenger of peace to the world. His demise is a huge loss to the international community and to humanity. Africa has indeed lost one of her best. He shall be sorely missed,” Saraki stated. Saraki’s counterpart at the House of Representatives, Yakubu Dogara, shared in the sad loss when he wrote on his official Twitter handle @YakubDogara, “It is with a great sense of loss that I received the news of the passing on of former secretary general of the United Nations, Mr. Kofi Annan. “Even with the awareness that death is an inevitable end, even for great men, it does not reduce the feeling of loss with which I received the news of Kofi Annan’s death. His contributions to the advancement of the human race will never be forgotten. In a statement from his media office, former Vice President, Atiku Abubakar, described Annan as “a quintessential promoter of global peace; a great African, an astounding diplomat and one of the leading lights in the African continent of this century. The Peoples Democratic Party (PDP) presidential aspirant lamented that a leading light has passed out of Africa and called on present generation of Africans to emulate the late Anan’s commitment to the well-being and development of the African continent while serving as chief scribe of the United Nations. The Waziri Adamawa, who conveyed his deepest condolences to the Annan family, his foundation, the international community, and to the government and people of Ghana, as well as, all Africans, said even after retirement from the services of the UN, Annan, never indeed retired from playing critical international roles that advanced the well-being of Africa and the world. Born April 8, 1938, into an elite family in Kumasi, Ghana, the son of a provincial governor and grandson of two tribal chiefs, he shared his middle name Atta — “twin” in Ghana’s Akan language — with a twin sister, Efua. He became fluent in English, French and several African languages, attending an elite boarding school and the University of Science and Technology in Kumasi. He finished his undergraduate work in economics at Macalester College in St. Paul, Minnesota, in 1961. From there, he went to Geneva, where he began his graduate studies in international affairs and thereafter launched his U.N. career. Annan married Titi Alakija, a Nigerian woman, in 1965, and they had a daughter, Ama, and a son, Kojo. He returned to the U.S. in 1971 and earned a master’s degree at the Massachusetts Institute of Technology’s Sloan School of Management. The couple separated during the 1970s and, while working in Geneva, Annan met his second wife, Swedish lawyer, Nane Lagergren. They married in 1984. Annan worked for the U.N. Economic Commission for Africa in Ethiopia, its Emergency Force in Egypt, and the office of the High Commissioner for Refugees in Geneva, before taking a series of senior posts at U.N. Headquarters in New York, dealing with human resources, budget, finance, and staff security. He also had special assignments. 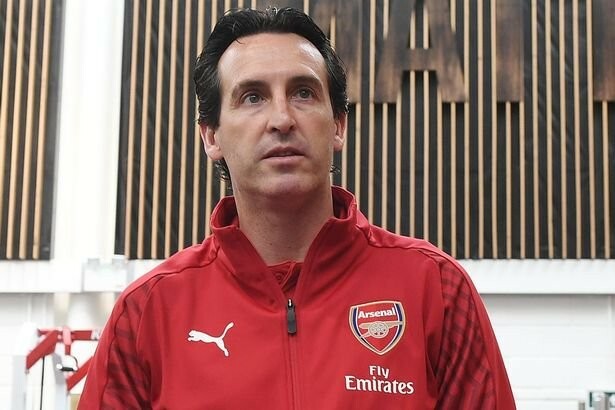 After Iraq invaded Kuwait in 1990, he facilitated the repatriation from Iraq of more than 900 international staff and other non-Iraqi nationals, and the release of western hostages in Iraq. He led the initial negotiations with Iraq for the sale of oil in exchange for humanitarian relief. Just before becoming secretary-general, Annan served as U.N. peacekeeping chief and as special envoy to the former Yugoslavia, where he oversaw a transition in Bosnia from U.N. Protective Forces to NATO-led troops. The U.N. peacekeeping operation faced two of its greatest failures during his tenure: the Rwanda genocide in 1994, and the massacre in the Bosnian town of Srebrenica in July 1995. In both cases, the U.N. had deployed troops under Annan’s command, but they failed to save the lives of the civilians they were mandated to protect. Annan offered apologies, but ignored calls to resign by U.S. Republican lawmakers. After becoming secretary general, he called for U.N. reports on those two debacles — and they were highly critical of his management. As secretary general, Annan forged his experiences into a doctrine called the “Responsibility to Protect,” that countries accepted- at least in principle- to head off genocide, crimes against humanity, ethnic cleansing and war crimes. Annan sought to strengthen the U.N.’s management, coherence and accountability, efforts that required huge investments in training and technology, a new whistleblower policy and financial disclosure requirements. In 1998, he helped ease a transition to civilian rule in Nigeria and visited Iraq to try to resolve its impasse with the Security Council over compliance with weapons inspections and other matters. The effort helped avoid an outbreak of hostilities that seemed imminent at the time. In 1999, he was deeply involved in the process by which East Timor gained independence from Indonesia, and started the “Global Compact” initiative that has grown into the world’s largest effort to promote corporate social responsibility. Breaking: Police converts SARS into FSARS! "Downloads" has no version set!